Forestry minister Kaban has issued five new measures aimed at reducing illegal logging and reviving the timber industry. These support his policy announcement made in July about speeding up the establishment of fastwood plantations to supply the country's pulp and paper plants. Foreign companies will now be allowed to invest in timber plantations. The death of a local man at the hands of police guards employed by an Australian mining company is a grim reminder that mining companies, backed by repressive government policies, put profits before people. 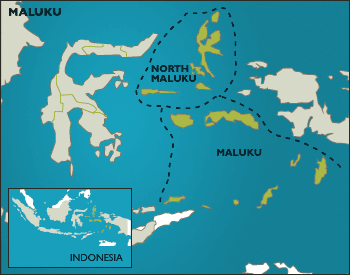 One man was shot and another almost beaten to death when members of Indonesia's special forces police (Brimob) broke up a protest by customary landowners at Nusa Halmahera Minerals' Toguraci gold mining area, on Halmahera Island, North Maluku, in early January.